Studies show that 85% of consumers like to touch and feel a product before buying it. With this insight, Ford showcased its new high-end models at East Point Shopping Centre in Boksburg, Ekurhuleni. Brands need to focus on experiential campaigns that resonate with and are relevant to a specific target market and the Ford campaign not only captured consumer attention but successfully extended brand awareness into the social media sphere. 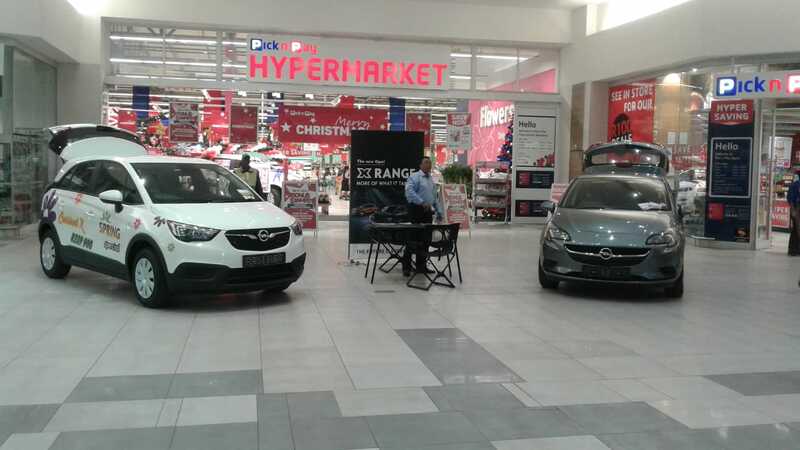 The cars were positioned in the Pick n Pay court, which enjoys an extremely high footfall, and shoppers made a point of stopping to take a selfie with the cars. Bonga Sibisi, Account Manager at Mall Ads™ explains that effective marketing within the mall environment is hugely determined by larger consumer trends and that they tapped into this in order to increase brand awareness and affiliation for Ford. “Changing shopper trends determine the retail landscape – who shops where, for how long and expectations – and this in turn determines brand engagement. When it comes to big-ticket items such as cars, influencing a purchasing decision starts long before a consumer enters the dealership. It’s about talking to the right audience in the right place and at the right time,” explains Sibisi. The Ford campaign incorporated the highly engaging Mall TV™. The place based digital television network is the first of its kind in South Africa, and has raised the bar in terms of innovation and advertising influence within the mall environment. Ford ran two advertisements on the network and effectively disrupted consumers on their shopping journey. “It’s not every day that a consumer can touch a Ford Mustang and learn about it while they’re in the mall. So, from the point of view of product showcasing, the brand ensured that the cars on display hit the sweet spot. With all the elements seamlessly aligned, the Ford campaign successfully attracted feet through the dealership,” concludes Sibisi.